Like most prospective customers, I also like to see feedback from others. I have received feedback and photos from very few customers, most Activate their KeyMaker and I never hear from them again, I suppose that is a good thing as it must mean smooth sailing. I would just like to say how pleased I am with the service communication and quality of my KMX1, it did what it said on the box, faster than expected delivery and all my questions answered. Well Joe, what can I say? The KMX-1 is everything you promised it would be. 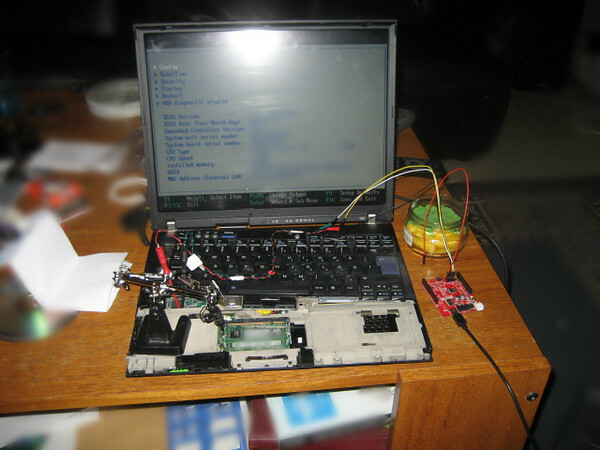 After countless hours of frustration trying to use that silly cable technique to try and recover the password, one shot with the KMX-1 was all it took to restore my wonderful T400 to a working state. I am SO HAPPY to have run across your website and learned of the KMX-1. What a beautiful and elegant tool you have created. I am very proud to own one. In fact, I am going to upgrade my KMX-1 so I can have the full range of capabilities of the tool. I really love the LCD display too! Everything is so easy to manage with it. It was well worth the investment. Joe, thanks once again. 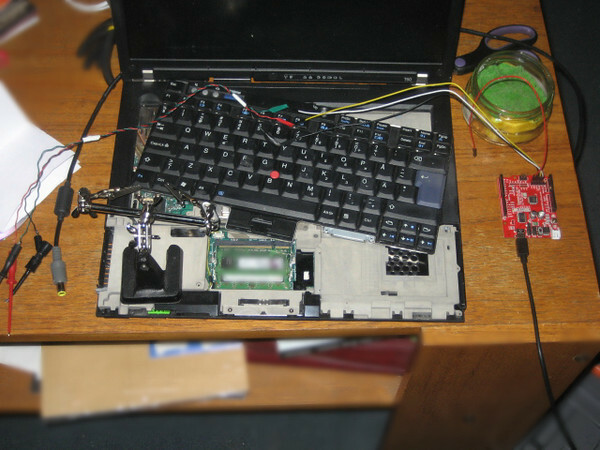 ThinkPad owners are forever in your debt for the tool you have provided us. Thanks to You this project was total success! Tried both, clearing password and restoring. Everything worked great! Also thanks for quick postage! Well that worked just great! 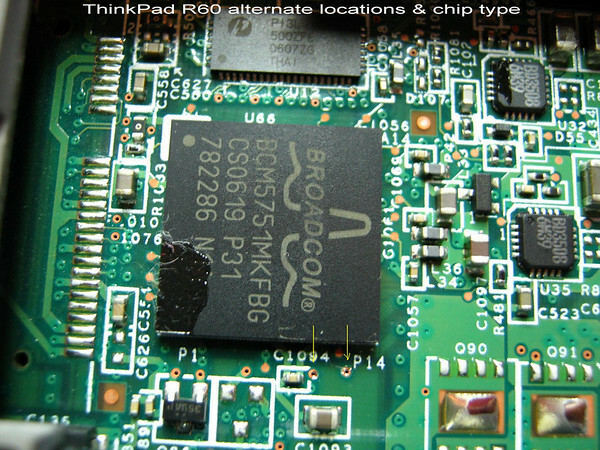 I now have my ThinkPad W510 back. Thank you for making that possible. Card Reader weren't working. I scoured all the Lenovo forums for reasons why I couldn't even see the devices. 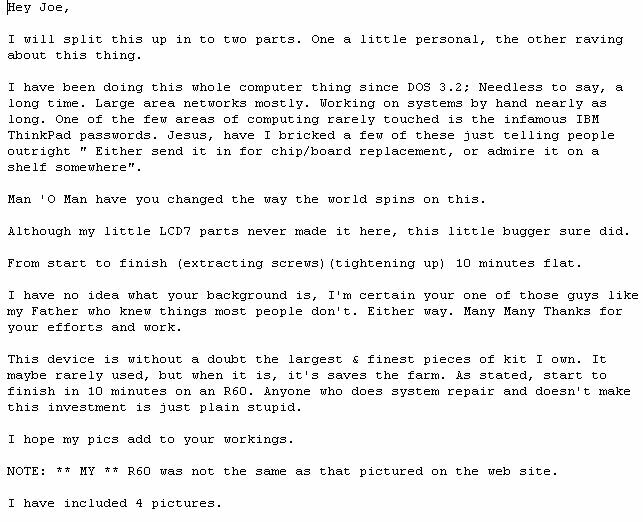 Finally found a clue about the ports being disabled in BIOS, so I went looking. Sure enough, the ports were disabled in BIOS, but, for some reason, the options were disabled. I finally put the pieces together that there was a supervisor password that I didn't know, and a blank user password that allowed me to configure most, but not all, BIOS settings. 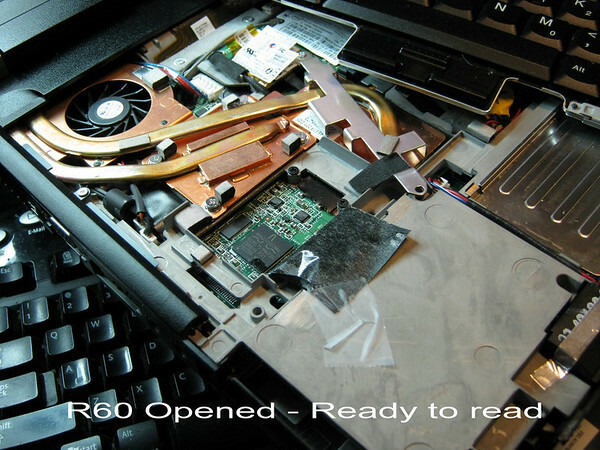 completely dismantling my laptop to get access to the chip. It worked, kind of. Except that, where the password was supposed to be, there were a few garbage characters. More google searches, and careful re-reading to find that I must have TPM/TCPA enabled. Oh well, so much for that. I put the laptop back together, but this time, when I power on, it says date & time are wrong, need to update BIOS settings. This time, the blank password doesn't work anymore. I HAVE TO ENTER THE SVP. So I've turned my slightly-defective laptop into a completely-useless laptop! That's when I found your site, and purchased the KMX1. One week later, the KMX1 arrives, and four hours later, it's activated. battery, screen, cooling unit, just enough to access the screws to remove the bottom shell, to get access to the chip. Plugged in, hooked up, press the Zap button, and it works as advertised on the first try. Power off,power on, and we go straight to BIOS setup ! YEAH! Just a quick note to say thanks. I successfully "ZAP" a T61 TP, great! We are very pleased with your KMX1PRO module. Thank you very much for the perfect job with the KMX1. I have saved my lovely TP X61s today. Hi Joe How Do I Leave A Feedback For This KM9AUSB ? - This Little Tool Is Awesome - It Works Exactly Like You Said - Easy As Pie To Operate - I Unlocked My R52 In 10 Minutes - Thank You For A Very Well Thought Out Piece Of Equipment - My Best To You & Yours - Very Satisfied Customer - Job Well Done Joe. 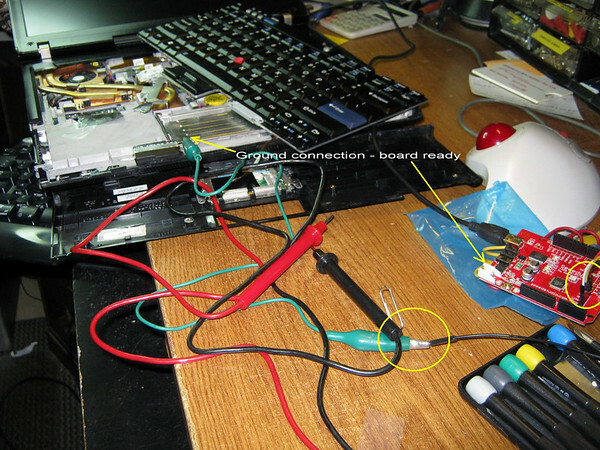 Well this was TOO easy...really - download teraterm-4.67.exe connect the USB setup connection, connect to the IBM turn it on 'PUSH THE BUTTON' wait about 30 sec. Turn off the IBM, disconnect the USB. That's it! Next time I am in Australia the beer is on me! Thx a lot ! A bit of bad luck, the smaller bag of LCD Parts Kit parts disappeared out of the parcel/didn't arrive, a new parcel containing the missing parts has been sent to this customer, although he is impressed with KM7USB which did arrive.